Firespiral Slings is the creation of Tamsin and Jen: two very passionate babywearers who shared a dream to design their own wraps. While designed and woven in the UK, they personally source the yarns they weave with and learn the technicalities of weaving to know that their designs will translate into a woven medium. The designs are inspired by patterns in nature that delve both into science and myth. Many of their designs are inspired by their local landscape and legends. With a slightly looser weave than most machine woven fabrics, Firespiral wraps have a certain moldability to them. This quality is unique to Firespiral and is a quality the creators worked hard to obtain. The looser weave also makes the wrap forgiving and pliable, the perfect wrap for beginners and advanced wrappers alike. They have two lines of wraps: Alchemy and Elements. The Elements range wraps are gorgeous wraps that have combined simplicity and affordability with function. 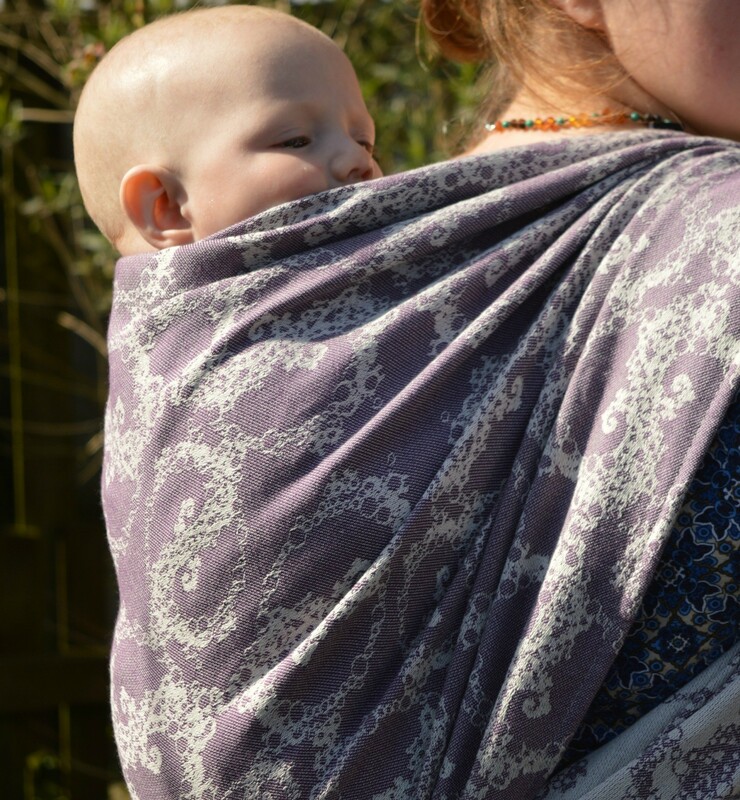 Made of 100% cotton, Elements wraps are easy to care for, making it the perfect ‘every day’, workhorse wrap and also a perfect wrap for newborns through toddlers. Alchemy line wraps are more luxurious, with a slightly looser weave than the Elements line. 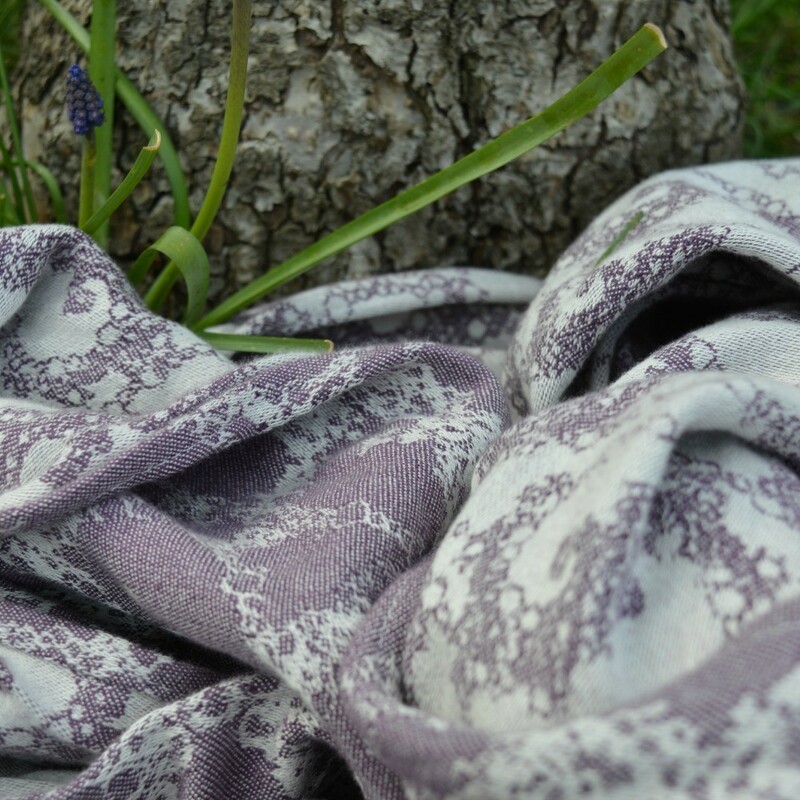 They include blends of all types including merino, combed cotton, hemp, linen, cashmere and bamboo. Firespiral has generously donated a Hyssop Tentacular Spectacular in a size 6. It is a 100% combed cotton wrap part of the Elements line. A medium weight wrap, woven with a natural colored warp and earthy purple weft, this wrap will be perfect for any sized child! 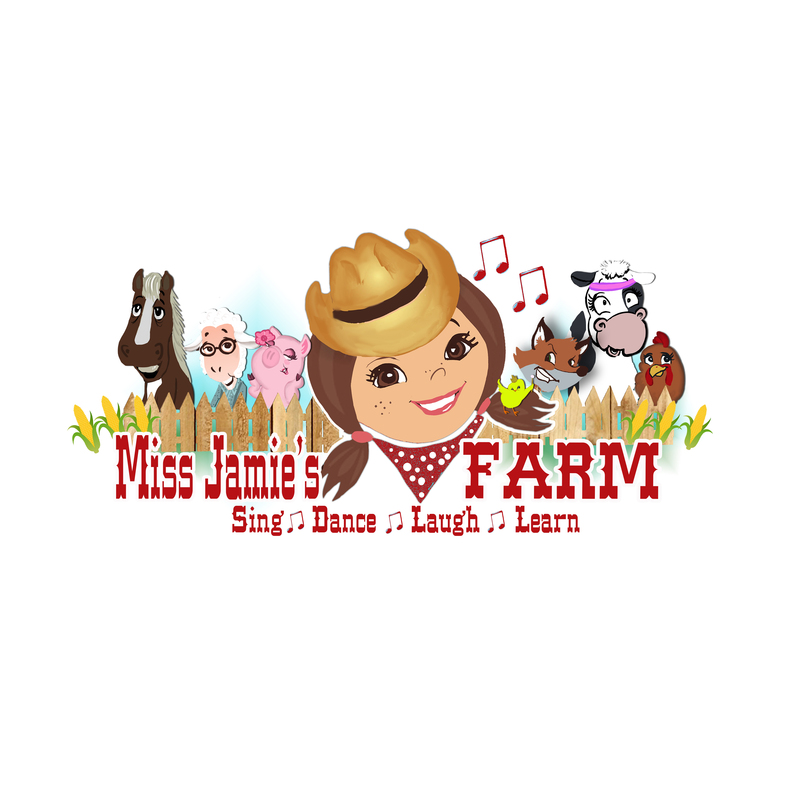 Miss Jamie from the Farm is a well known Chicagoland children’s performer. She can be found giving her monthly shows at Mariano’s grocery stores or at many other children’s events in the area. Miss Jamie, along with her donors The Bump Club and Catbird Baby, have graciously donated four CD’s for raffle along with a free show this Wednesday at noon. 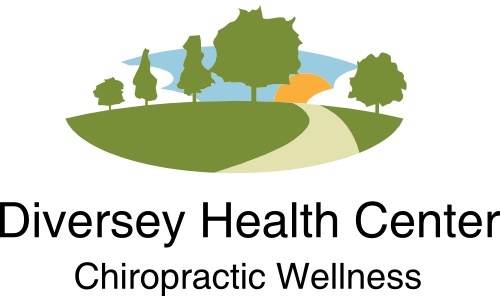 Diversey Health Center has sponsored BWI-Chicagoland by donating their space for this show. Thank you to all of these donors for your amazing donations to make Chicagoland’s International Babywearing Week a great time. Lehman Design Consultants have supported BWI-Chicagoland’s International Babywearing week with a donation of a Tekhni woven wrap to place in our raffle. Please give Lehman Design a big thank you for supporting BWI-Chicagoland. Lehman Design Consultants is an engineering consulting firm specializing in new and existing buildings. We provide consulting, permitting and design services for HVAC, Plumbing and Electrical systems. Are you a property developer or architect? Do you own a building that needs system upgrades or energy efficiency improvements? Do you want to lower your utility expenses with capital improvements? Our experienced and dynamic team can help you sort through the details and find the ideal solution. Give us a call or email at: 312-201-9733; info@lehmandesigninc.com.